For most of us, our automobiles are an essential part of our daily lives and perhaps windshield protection film should be too. That may sound like a strange thing to say but have you ever considered how we fit screen film to our mobile phones or even our smart watches to protect them. However, many of us don’t think about extending this kind of protection to another, equally expensive thing, we use almost every day: Our windshields. For this and other reasons, it is probably worth considering if it’s worthwhile installing windshield protection film in your car. What Is Windshield Protection Film? The best thing to do when considering whether something is worthwhile is to start by understanding what it is. 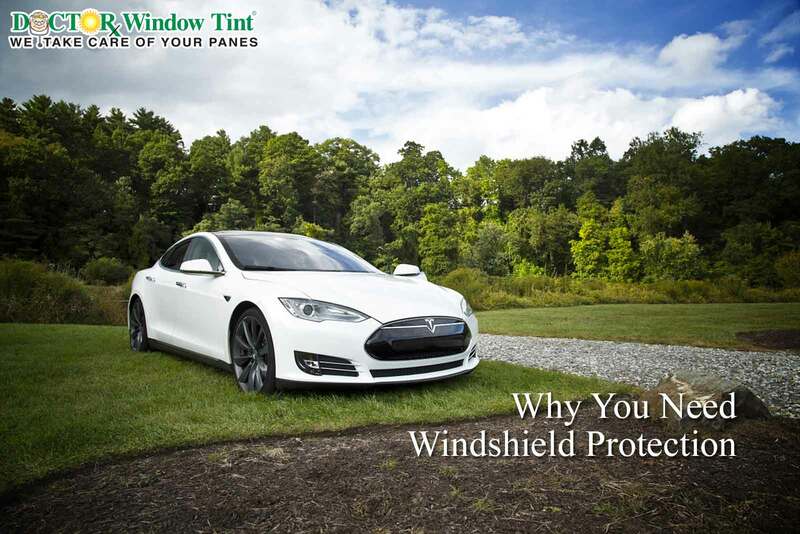 Simply put, windshield protection film is a thin laminated coat of film that is applied to windshields (as well as other windows) by professional automotive window tint installers because of the benefits it can provide. You can’t discuss the benefits of using this type of film without first discussing some of the common questions people have about installing them. For example, “Does it impair the vision of the driver?” and “Is it permanent?” are two commonly asked questions. To answer both questions simply: No. The film is both clear and extremely thin. It is therefore not noticeable to the driver of the automobile when correctly fitted. Although the film is extremely durable and won’t come off during things like power washes, it can be removed by trained professionals if the car owner wishes to replace it. So why do people have windshield protection film fitted? There are many benefits to having the film fitted to your windscreen. Using the mobile phone screen film example again, it works quite similarly just on a larger scale. In other words, the film will protect the windshield from a variety of hazards like stone chips and road fragments – this significantly decreases the risk of damage occurring. This is the main benefit people are looking for when they show an interest in the film although there are other benefits as well. Many of the films also offer added protection against harmful UV rays. UV rays can be harmful to the occupants of the vehicle as well as to the interior. The film acts as a barrier between the occupants and the sun and also reduces heat inside the vehicle which can prolong the life-span of the car’s interior. One of the lesser known benefits of the film is that it has been shown to improve windshield runoff. It was mentioned earlier that people often worry about the film impairing visibility which it does not because it is clear and very thin. What many people don’t know is that it can actually improve visibility in certain conditions. For example, in the rain, the film may cause the rain to run off the windshield faster, improving visibility. Finally, windshield protection film may help keep the windshield intact during a collision because it is less likely to shatter. Windshield protection film is an essential addition to your vehicle because of the variety of benefits it has been shown to offer. If you are interested in receiving an estimate from our mobile automotive installers then contact us today at Dr Window Tint – we’ve been taking care of your panes for over 30 years.